Hello, dear readers! Another year of running this blog went by. And what a year it was. I finally got past the medium of text, appearing in not one, but two podcasts by Military History Visualized: one on kill claims back in May, and one more recently on Soviet impressions on the Pz.Kpfw.I tank. In case you missed them the first time around, I'm embedding the videos under the break. 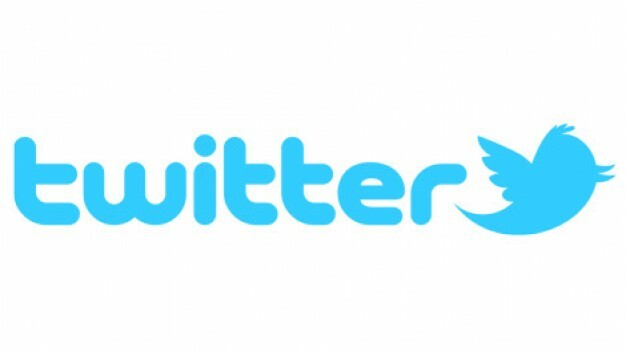 Twitter has taken off pretty well. I'm well over the 1000 follower milestone, sitting at 1322 at the time of writing. The main blog is also doing well, right up against 4 million total views. Seems that my audience demographics have stabilized: USA at a distant first, followed by the UK, Germany, Russia, Canada, Poland, France, Finland, Australia, and Spain. "Due to a shortage of armour piercing shells presently experienced by artillery units, the practice of firing other types of ammunition out of 76.2 mm divisional guns is common. Armour piercing shot. Penetrates the armour of German tanks from any direction. Insufficient beyond armour effect. Fire and destruction of the tank are only caused if the engine, fuel tank, or ammunition is hit. Steel cased HE grenade. Can be used in combat against light (in some cases medium) tanks. Aimed at the sides during oblique movement or the turret ring, it destroys or tears off side armour in addition to jamming the turret and destroying mechanisms inside the turret, including optical sights and observation devices. In a number of cases the turret stopped traversing. When howitzers are used, light tank turrets were torn off. Lately, many directors and chief engineers do not dedicate necessary attention to the issues of improving technologies, introducing new progressive technological processes, increasing amounts of instruments, etc, as a result of which time expenditure at various factories is unbearably high, which causes extra demand in tools and manpower. The T-60 tank takes 2500 hours to produce at factory #37, but 4700 hours at factory #264, 1.9 times greater. A V-2 diesel engine takes 2700 hours to produce at factory #76, 1800 hours at the Kirov factory, but at factory #75 the same diesel engine is produced in 600 hours. The Krasnoye Sormovo factory takes 2500-3000 hours more to make a T-34 tank than factory #183 took in its time and the Stalingrad factory does now. It is clear that, instead of carefully and systematically working to reduce costs of producing vehicles, instead of getting technologies and use of tools in order, instead of training workers, many directors and chief engineers take the path of least resistance and complete plans only by increasing the number of tools and workers. The People's Commissariat cannot and will not support this kind of extravagance. Chiefs of the production and planning departments must provide me with the standards for time consumption to produce KV, T-34, T-60 tanks, hulls for them, and the V-2 diesel engine, taking the leading factories as a baseline. After standards are established, calculate the requirements for equipment and workforce. The technical department (comrades Ginzburg and Rybkin) must transfer the experience of leading factories in lowering the labour requirements to factories that are falling behind. Within ten days re-evaluate the excessive time consumption and develop specific measures of improving production technologies with the goal of reducing time consumption. Force existing technical, technological, and labour calculation departments to work properly. Warn the leaders of these departments that their work will be evaluated based on the reduction in times it takes to produce each vehicle, and not by the number of requests for new equipment or new workers. Again, I'm warning directors and chief engineers of factories that, in time of war, we need to maintain strictest economy of tools and labour force. Directors who consider their duty to complete the plan "at any cost" must be told off. The plan must be carried out with minimal costs, not "at any cost". People's Commissar of Tank Production, V. Malyshev"
By the time the M4A2E8 entered production, the Americans had no intention of using these tanks in their own army. While WWII continued, these tanks were supplied to the USSR. Afterwards, the remaining tanks were sold to Canada for a pittance, and formed the backbone of domestic tank forces for many years. As a result, there are plenty of M4A2E8 tanks still kicking around in Canada, many of them still running. The LeBreton Gallery in the Canadian War Museum has two: one of them slightly worse for wear than the other. The Romanian tank fleet was largely composed of Skoda Š-II-aR tanks (an export version of the LT vz. 35), accepted into service as the R-2. 126 units were purchased in 1938-1939. Fighting on the Eastern Front served as a cold shower for the Romanians. For instance, the 1st Tank Division lost 81 R-2s by the end of 1942. It was clear that these tanks could no longer be used in their initial form. The surviving 40 tanks were pulled out into the reserve. To director of factory #174, comrade Katsnelson: immediately stop the work comrade Savin is performing on the T-50 SPAAG. Designers from Savin's group are to be moved to factory #183 immediately to perform this work on the T-34 tank. All existing materials and technical documentation is to be immediately sent to factory #183. Complete the project and working blueprints by March 15th, 1942. Produce a prototype by May 1st, 1942. Begin trials on June 1st, 1942. 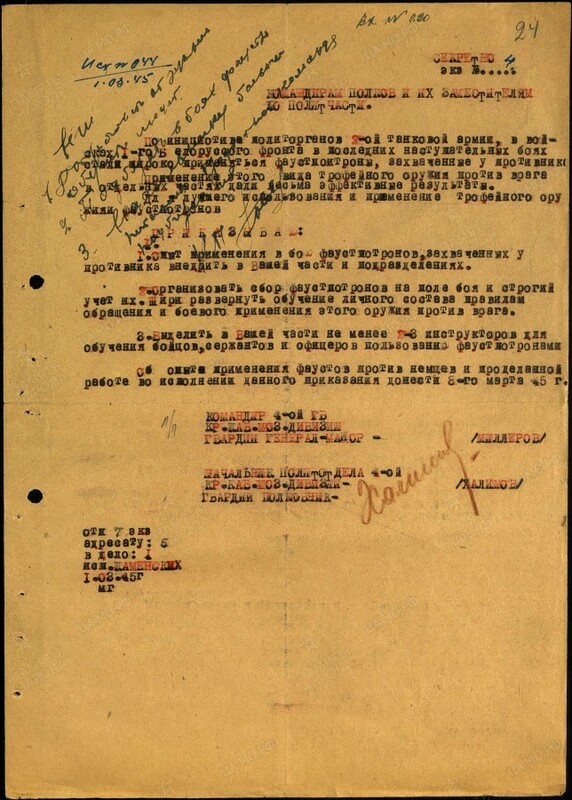 To deputy chief of the NKTP technical department, comrade Ginzburg: transfer materials in possession of the NKTP on work performed by Savin's group to factory #183. Deputy People's Commissar of Tank Production, Kotin." Topic: comrade P.F. 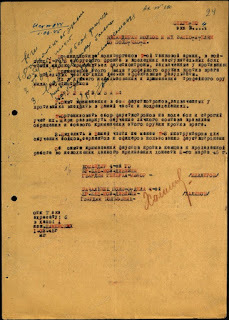 Muravyev's presentation regarding the possibility of installing the 76.2 mm F-34 tank gun in the T-34 turret and the conversion of the T-34 turret made necessary by the requirement that the F-32 and F-34 be made interchangeable. Iron casing of the distributor shaft rather than aluminium alloy. Fuel tanks coated with zinc by schooping rather than tinning. Gearbox with an iron casing. This gearbox was removed after 353 km after large cracks developing in the casing. Idler components and other small parts. Unified oscillating levers of the turning wheels and other small parts. The vehicle has travelled for 1488 km by December 1st, 1940, trials will continue in December. Having broken away from its collapsing "big brother", Poland recalled its once serious military and political ambitions. In certain people's minds, Poland would rise to the status of a regional superpower at the very least, which meant it needed an army to match. Polish engineers began working on a new generation of airplanes, helicopters, AA systems. Plenty of attention was directed at armoured vehicles as well. Quality assurance is performed by the military representative of the GABTU. A tank can be considered accepted after firing the cannon and machineguns, test drive, correction of discovered defects and complete installation of equipment. A 5 km drive for every T-34 and KV tank and 10 km drive for every tenth T-60 tank, chosen by the military representative. Firing the cannon on every tenth T-34 and KV tank and on every T-60 tank. Coaxial machineguns are fired on every tank. In addition, the military representative can control the quality of individual components and assemblies, as well as the quality of assembly of the tank. The military representative is permitted to accept tanks without clocks, voltmeters, ammeters (replaced with an indicator light), speedometers, aerothermometers (except one), turret fans (in winter time), turret traverse motors for the T-34, intercom (replaced with signal lights), spare containers, and radios in the event that there is a temporary absence of these parts at the tank factory." The AK is subject to a number of ongoing raging discussions, one of which had to do with its name. Some claim that there was no such thing as an AK-47, with the name of the gun being simply AK, later replaced with the AKM. Sound logic, but it is not confirmed by documents, which use the name AK-47 extensively. For instance, the manual. "Increasing production rate and quality of mechanical finish on parts and assembly of new types of weapons. Development of new high production rate processes of finishing parts and assembly of the AK-47 system. Development and agreement on blueprints. Development of high production rate technical processes for mechanical finishing and control of AK-47 parts (factory #74 and NITI-40). Development and distribution in the Q1 of 1950 of technical tasks for design of new equipment and modernization of old equipment. GSPI-7 is to receive a task for design of transport devices and planning (NITI-40 jointly with factory #74) by August 1st, 1950. Development of transport devices, planning of equipment, and composition of technical-economical metrics (GSPI-7 jointly with the factory). Production of harnesses, experimental trials and implementation of labour intensive processes (see topic 104-102 for equipment) in 1950. 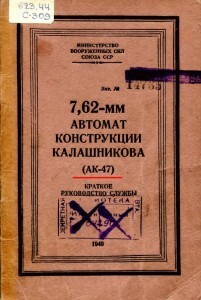 Development of a project to organize and launch production of a new product (AK-47) and partial execution in 1950 (NITI-40). Production and implementation of the remaining harnesses and equipment, as well as introduction by NITI-40 of new processes for the production of the AK-47 system, development of guiding materials for the organization of assembly line production. Composition of a joint technical report." "4. Execution of trials of an optical calibration system for the AK, correction of working blueprints, correction of the prototype in metal, correction of the optics, introduction of the device into production, composition of a technical report with trials and acceptance documents." It is not possible to perform battlefield trials of the KV, SMK, T-100, A-20, A-32, T-40, A5, A7M tanks or the BA-11 armoured car in 1939, as the experimental KV, SMK, and T-100 tanks are currently undergoing proving grounds trials. Experimental prototypes of the A-20, A-32, T-40, A5, A7M tanks, and the BA-11 armoured car passed proving grounds trials, and the factories are now making changes to blueprints based on the results of the trials, in order to produce pilot batches. Only tanks and armoured cars produced in 1940 will be sent to battlefield trials. Modernized T-28 tanks will not undergo battlefield trials, and will be issued to regular Belorussian Military District units. The modernized T-26 tank has a new suspension, but the turbocharged engine has not yet arrived, and therefore battlefield trials will be postponed until 1940. The SBT bridgelayer tank will be transferred to battlefield trials in December of 1939. On the orders of Military Commissar of the ABTU, Brigade Commissar Kulikov"
The Ilyich Mariupol factory began producing armoured parts for the T-34 before mass production blueprints were approved, and built a batch of turrets using the experimental blueprints with the GABTU's permission, i.e. with 25 degrees of gun elevation. The semiautomatic cutoff mechanism is removed and the roller cutoff mechanism from the L-10 is installed. The breech handle is shortened by 20 mm. The hand trigger is different, and the attachment point is different. The hand trigger (pedal) is used from the 45 mm gun. The gun shield is completely different, including a coaxial machinegun. The telescope mount from the old gun shield is used, but with changes. The elevation mechanism sector is different. Brass catcher: a new one with smaller dimensions (on the left side) will be used, with a trimmed stopper and a new carrier. Frame: the L-11 frame is removed completely. The gun is mounted on two vertical posts welded from the inside to the front of the turret, replacing the frame. Mantlet: a new one based on the changes to the gun shield and carrier. Elevation mechanism is used from the L-11, but with small changes. The periscope link is from the 45 mm gun. There is a strangely prevalent opinion in some circles that everything there was to know about WWII was already known, and that any new information is completely unnecessary revisionism. Those people are naturally wrong, as illustrated pretty conclusively by Yuri Pasholok. Something as fundamental as a measurement went uncorrected for decades. 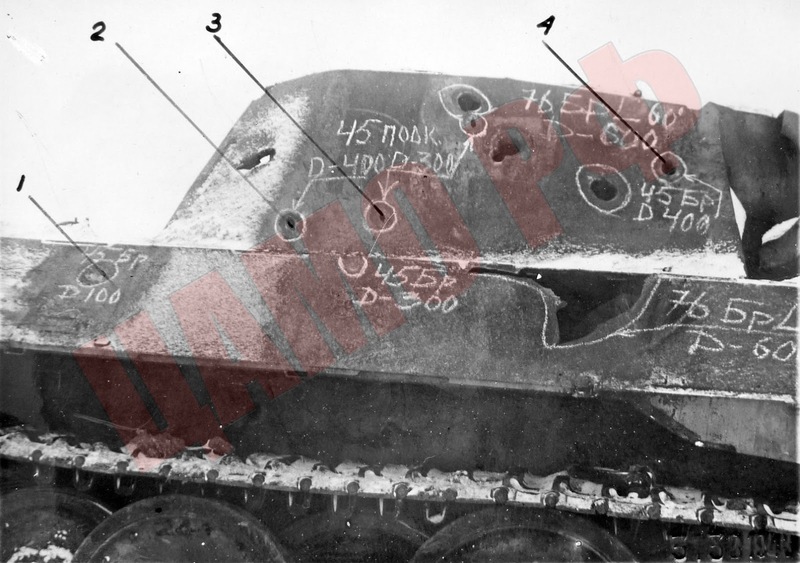 The Panther's thick front armour could not be penetrated by any Soviet tank gun in use in 1943. This immunity, however, did not apply to the side armour, which turned out to be vulnerable to even the rapidly ageing 45 mm gun. The sloped part of the sides proved a tough nut to crack. The 45 mm gun doesn't work here, and hits from 300 and then 100 meters do not penetrated. However, other parts of the tank can still be penetrated from this side: the turret has two holes in it from 45 mm APCR (300 and 400 meters) and one from 45 mm AP (400 meters). The vertical side of the hull (unfortunately not pictured) can be penetrated from 500 meters. The rear was also penetrated from 300 meters (also not pictured). The 76 mm gun has no issues with this armour at all, however. Even firing at an angle of 60 degrees, from 600 meters the armour piercing shell penetrated the side armour. The sloped hull did poorly against this weapon, as you can see, forming a fairly sizeable breach. Despite the thick front plate, even an ordinary T-34 would not have to flank very far to be able to destroy its much heavier opponent. The 7TP, a Polish modernization of the Vickers Mk.E, was the pride of Polish tank building in the interwar period. Skilfully combining products of the Swiss Saurer company (who made the engine) and the Swedish Bofors company (who made the gun), Polish designers significantly improved the characteristics of the initial tank. 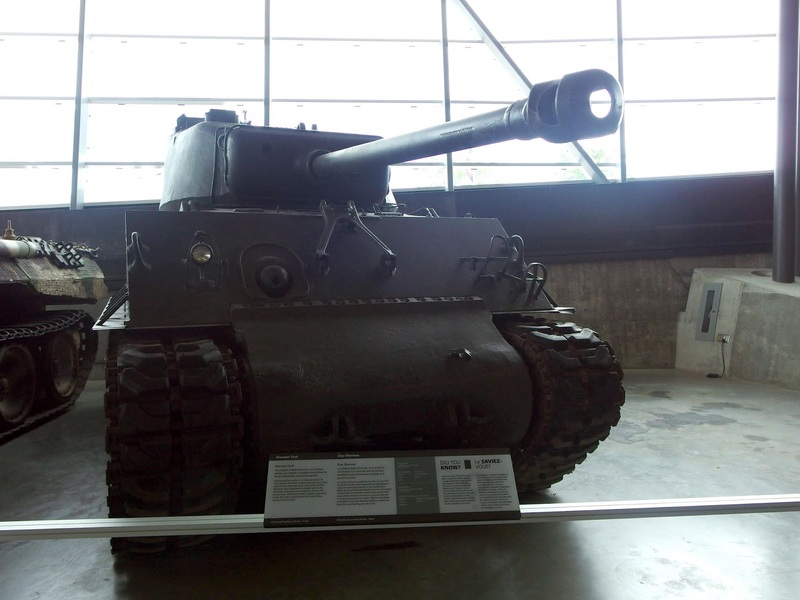 The 7TP design also included a number of Polish creations, including the excellent Mk.IV periscope. Polish tanks fought German tanks as equals in the 1939 campaign, and many of them later served in the German army. A number of the tanks ended up in the USSR as trophies, where they were studied.